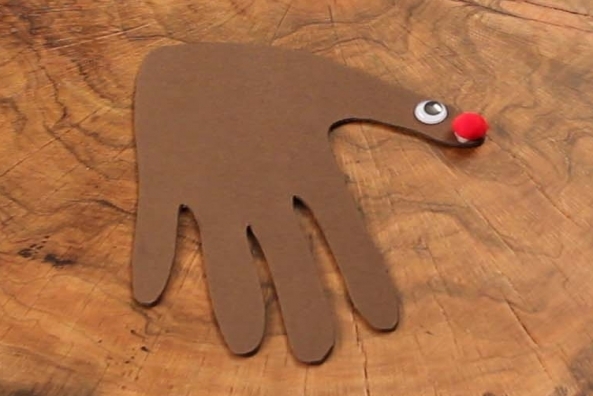 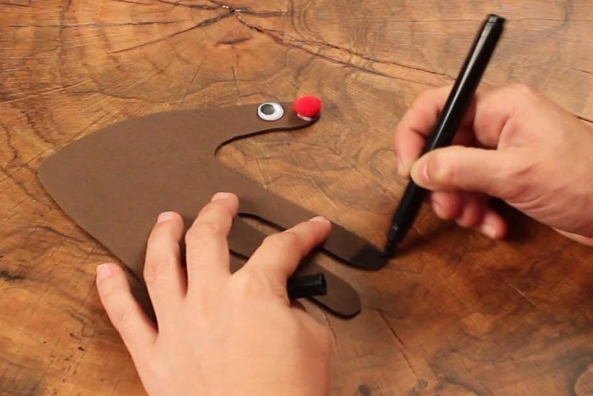 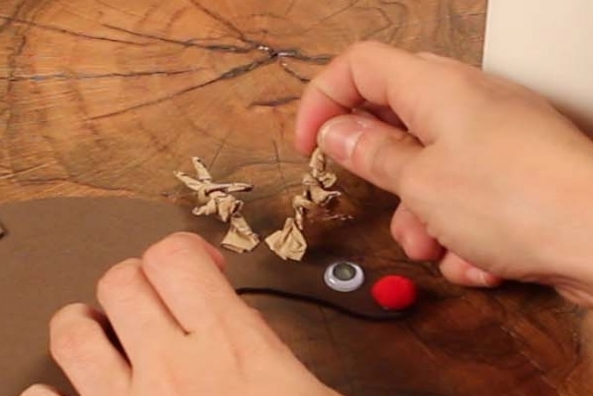 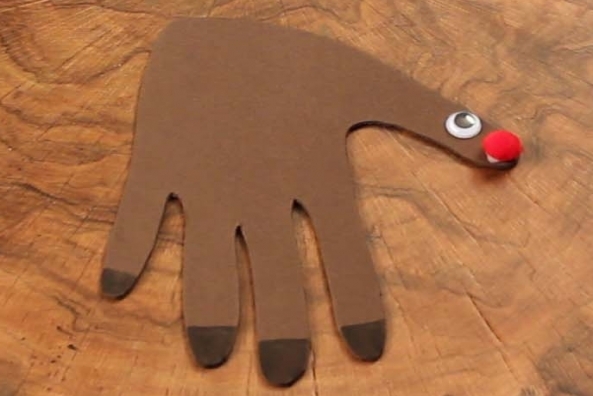 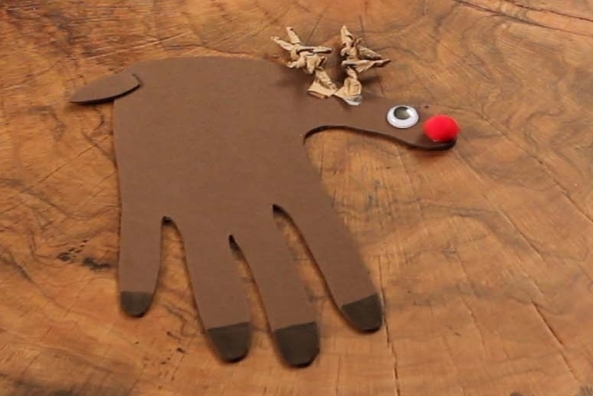 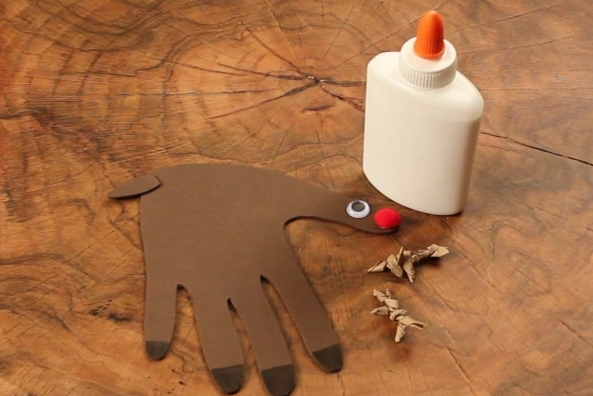 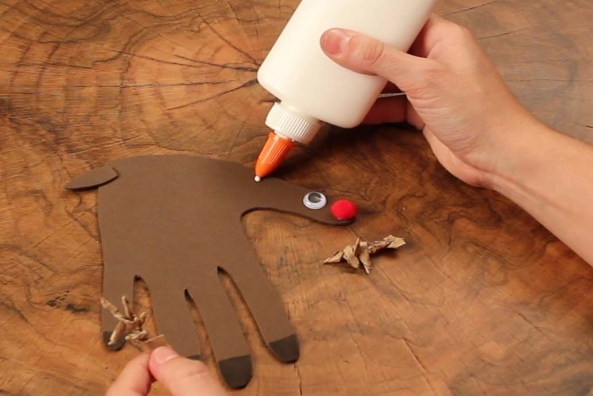 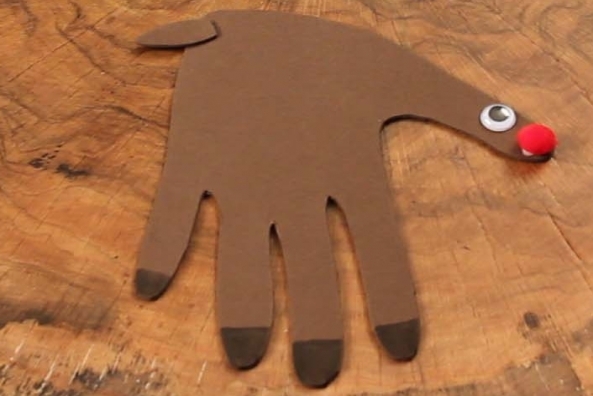 Trace your hand and turn it into a favorite holiday reindeer, Rudolph! 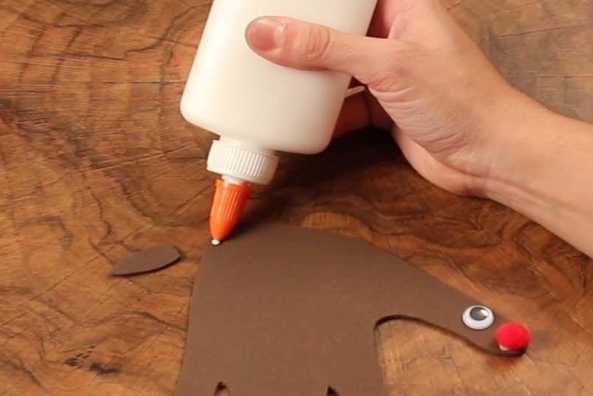 Sing along while you craft away. 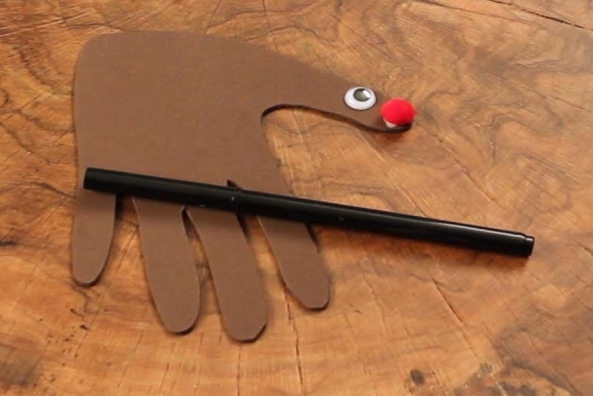 Sing along to this classic and favorite holiday tale. 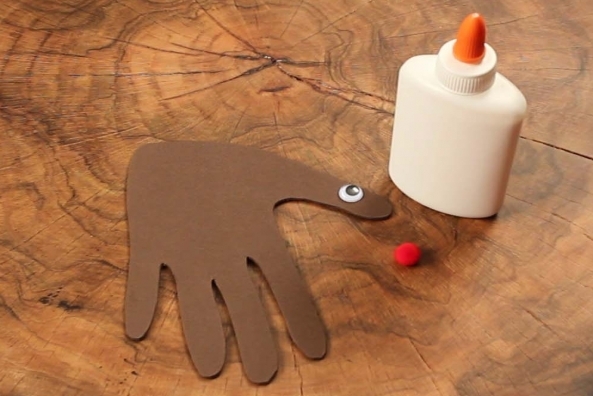 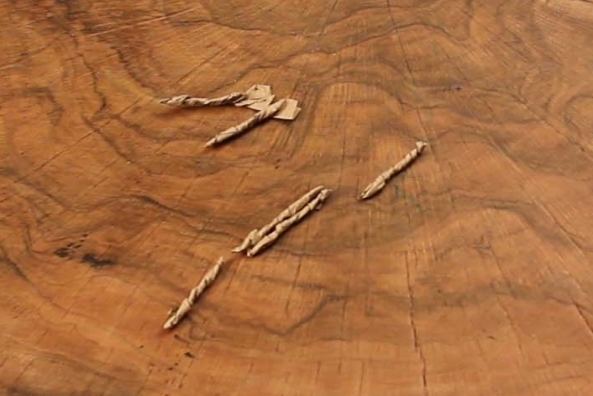 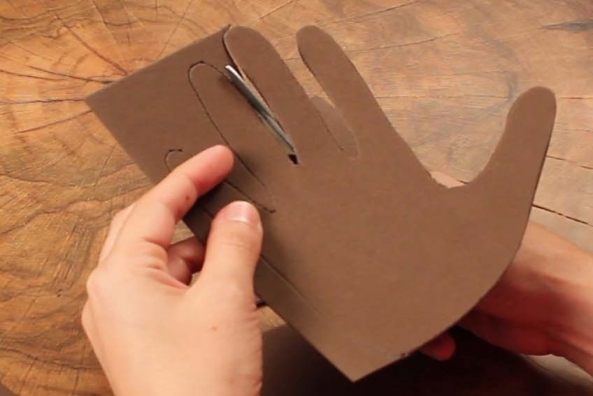 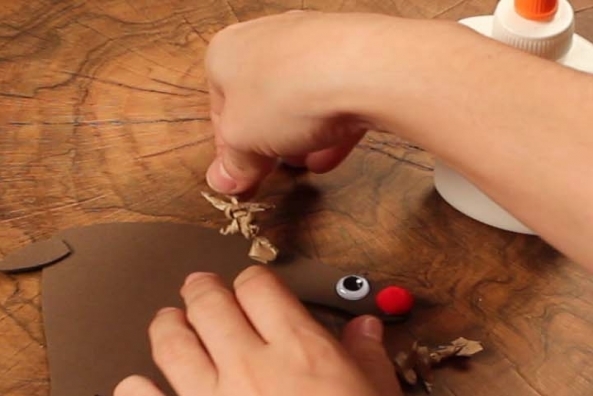 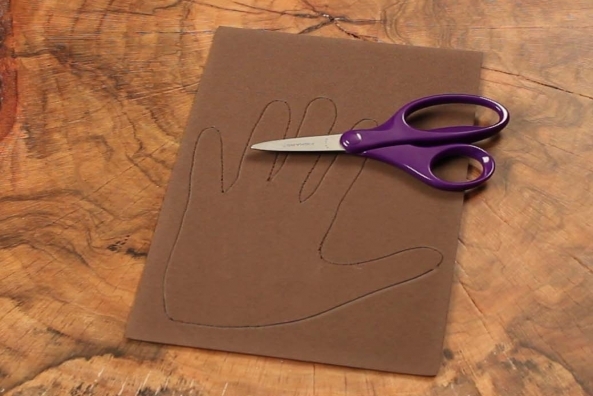 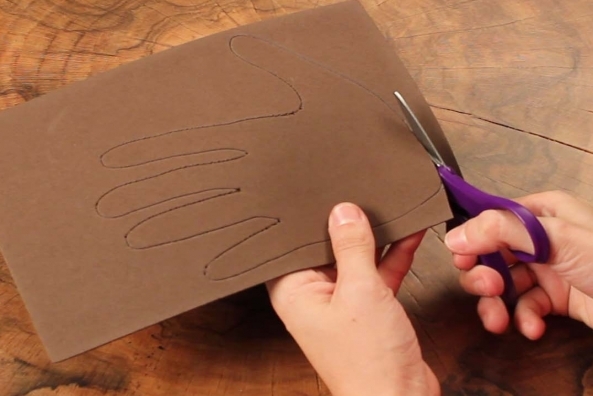 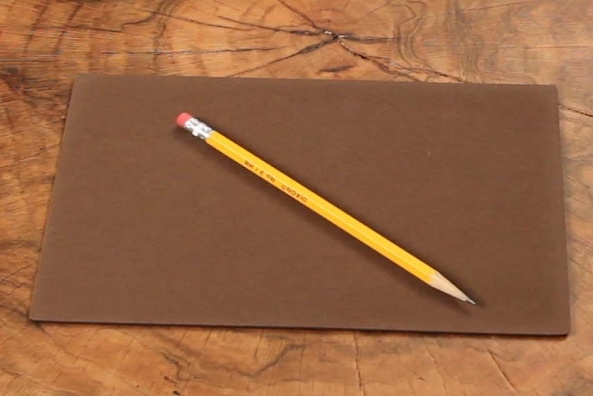 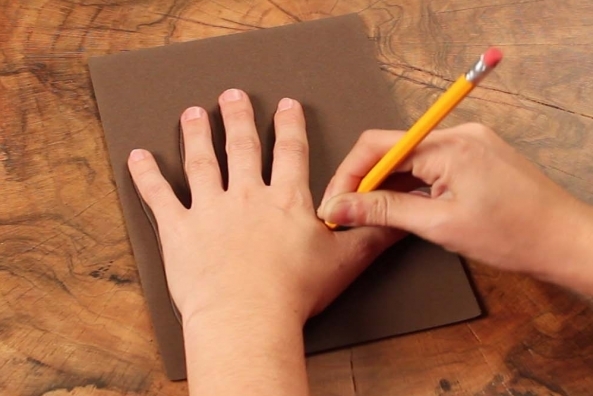 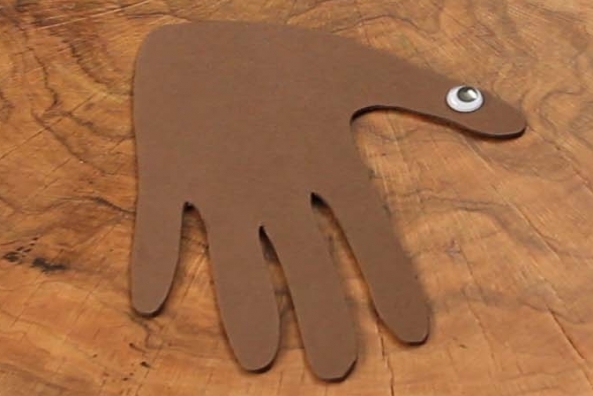 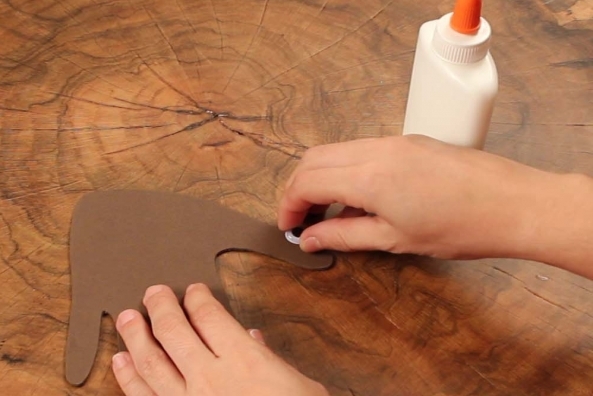 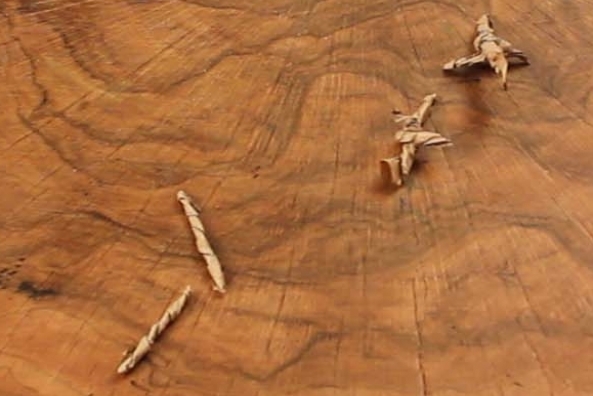 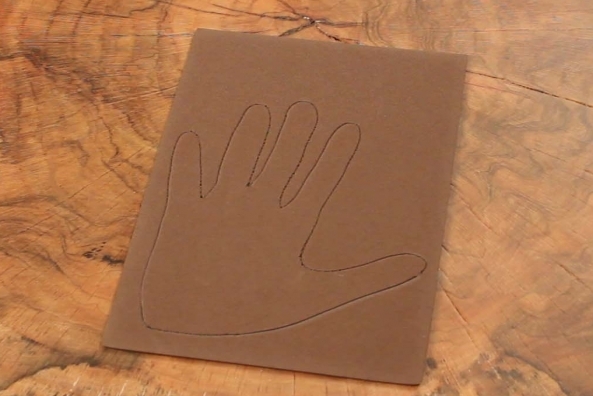 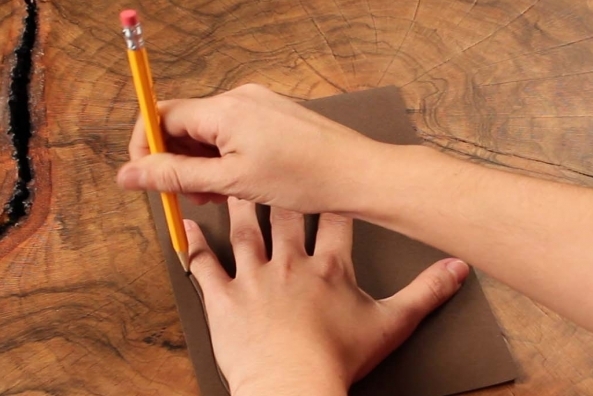 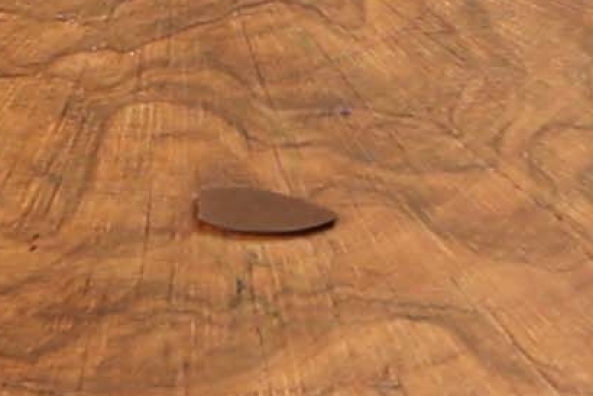 Trace your hand onto a piece of brown craft foam. 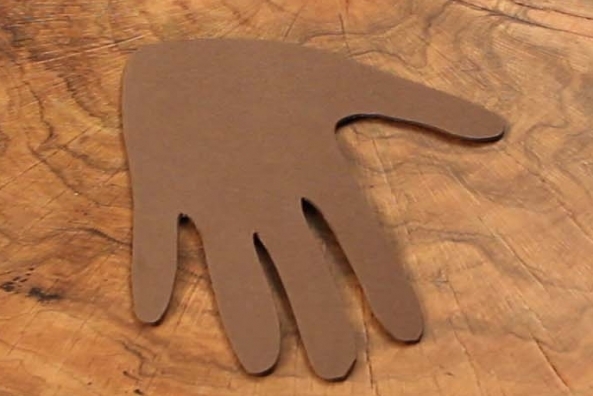 Cut out the traced hand. 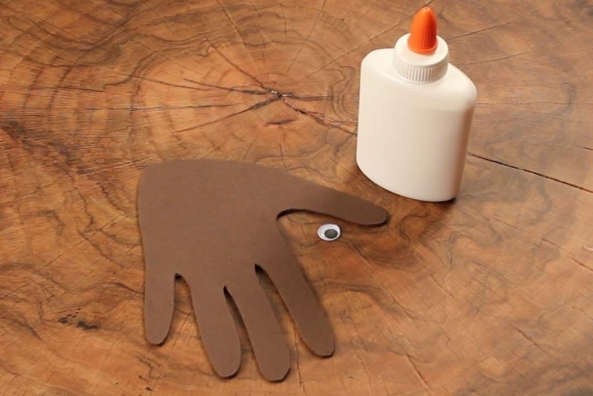 Glue a wiggly eye onto the thumb. 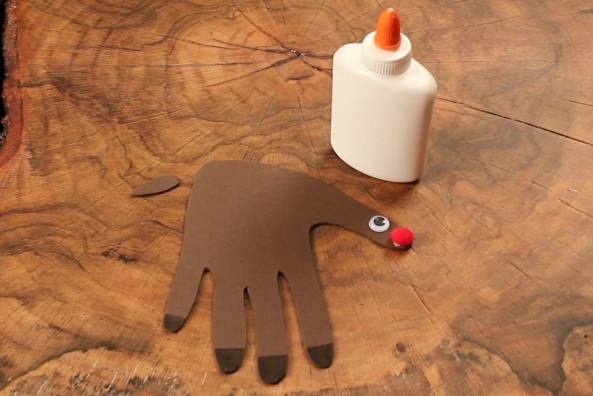 Glue a red pom pom under the eye. 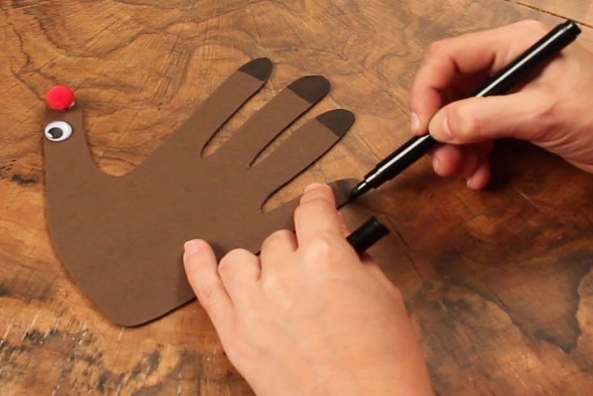 Color the four finger tips black. 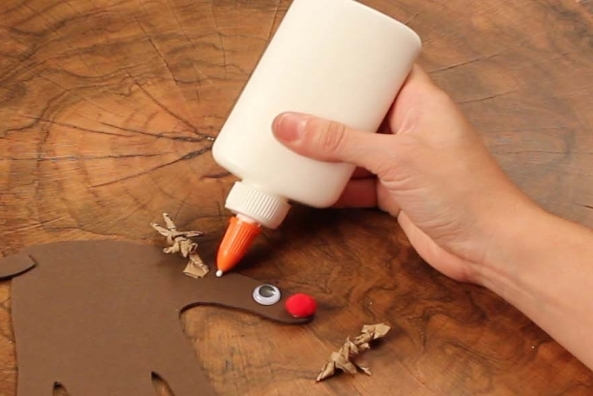 Cut a small piece of brown craft foam to be Rudolph’s tail. 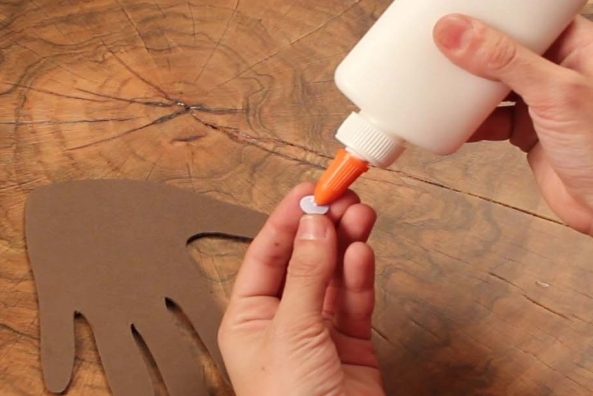 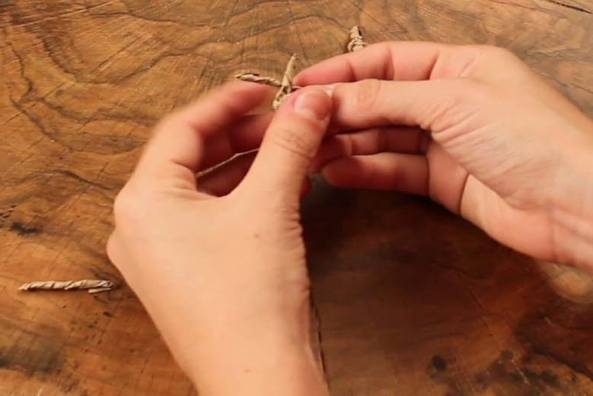 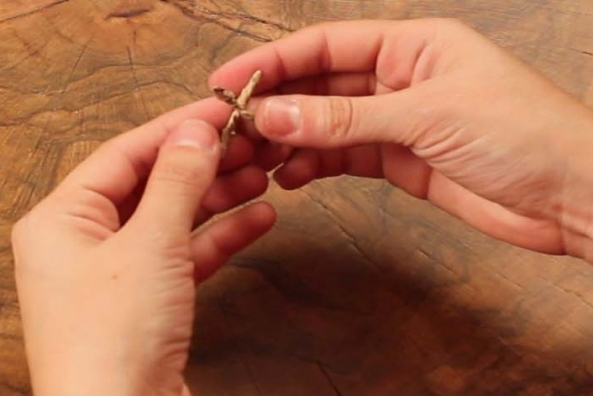 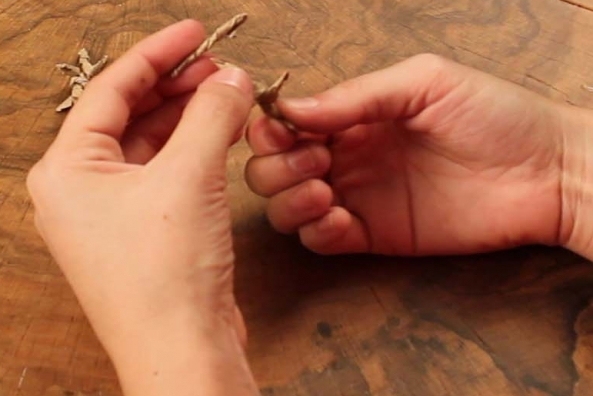 Glue the tail on the opposite side to the thumb. 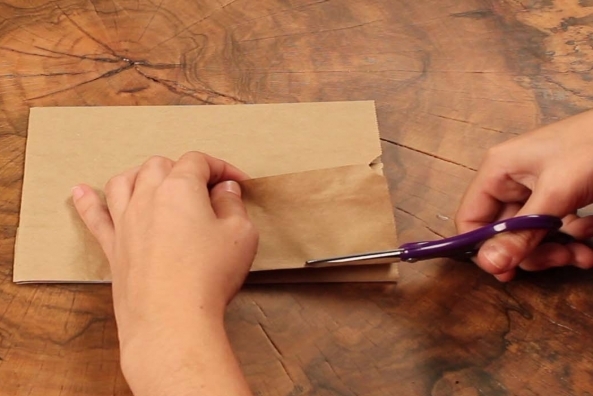 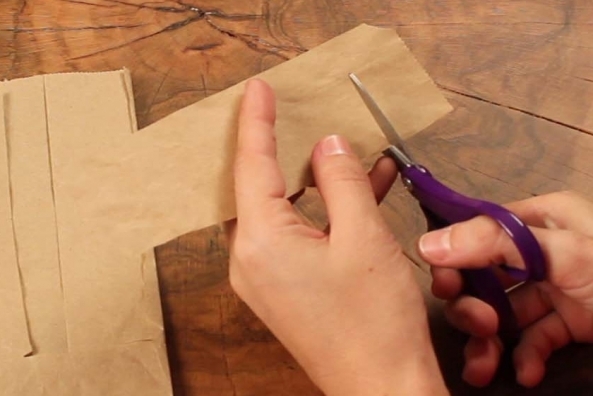 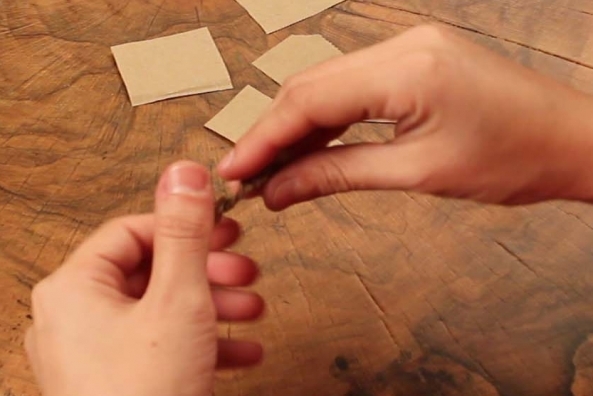 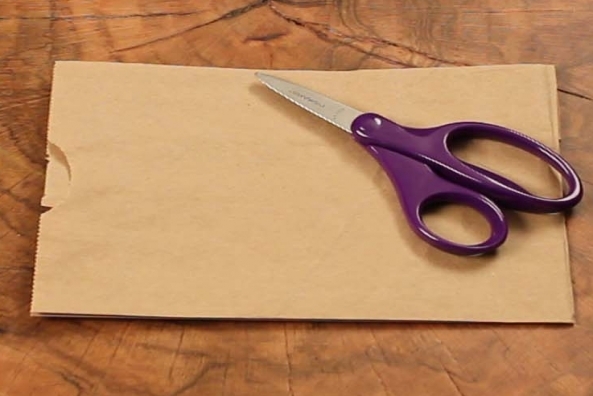 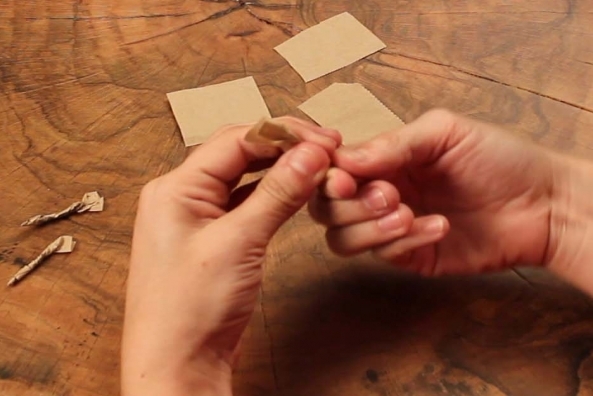 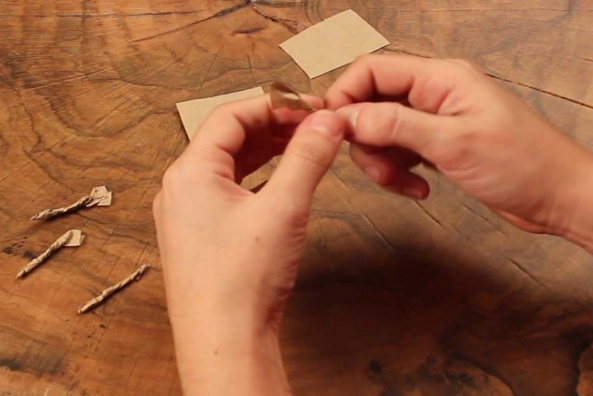 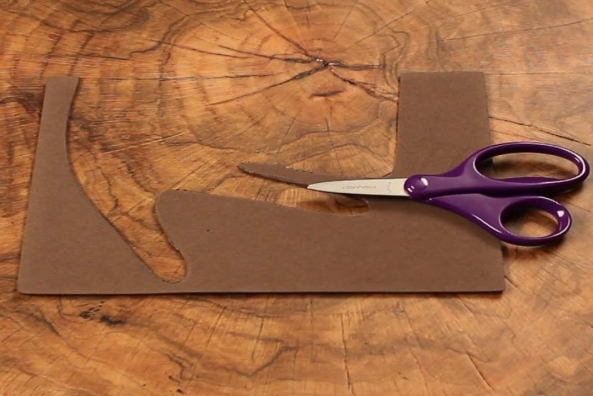 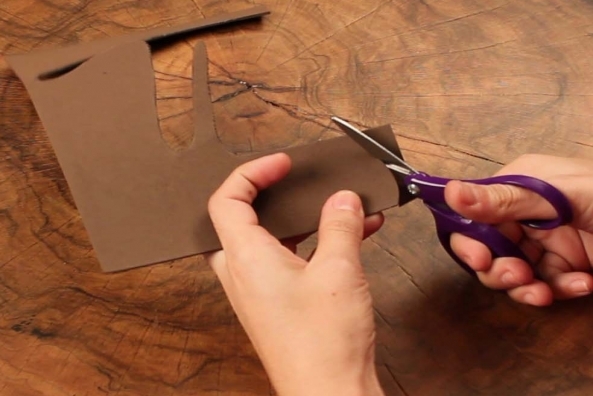 Cut six small rectangles from a paper bag. 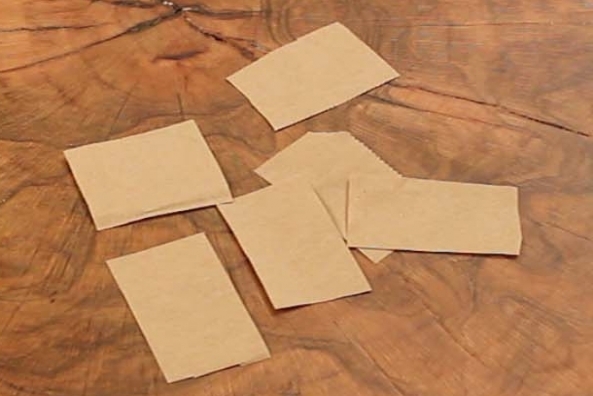 Twist each rectangle into a crumpled strip. 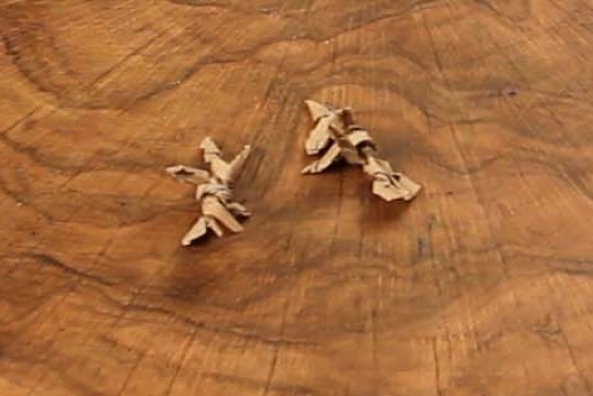 Tie two ties together to make a t.
Tie two ties together to make a t, again. 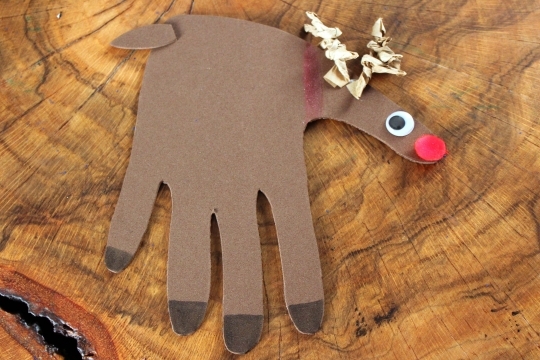 Tie one more strip onto each t.
Glue these tied bag pieces onto the head of Rudolph to be antlers.